Good morning Clemson Girls! Whether you're stuck in rainy weather or have several feet of snow on the ground outside your window, it doesn't feel much like Spring does it? Was the groundhog really right? It might not feel like Spring is coming, but it will be here before we know it. 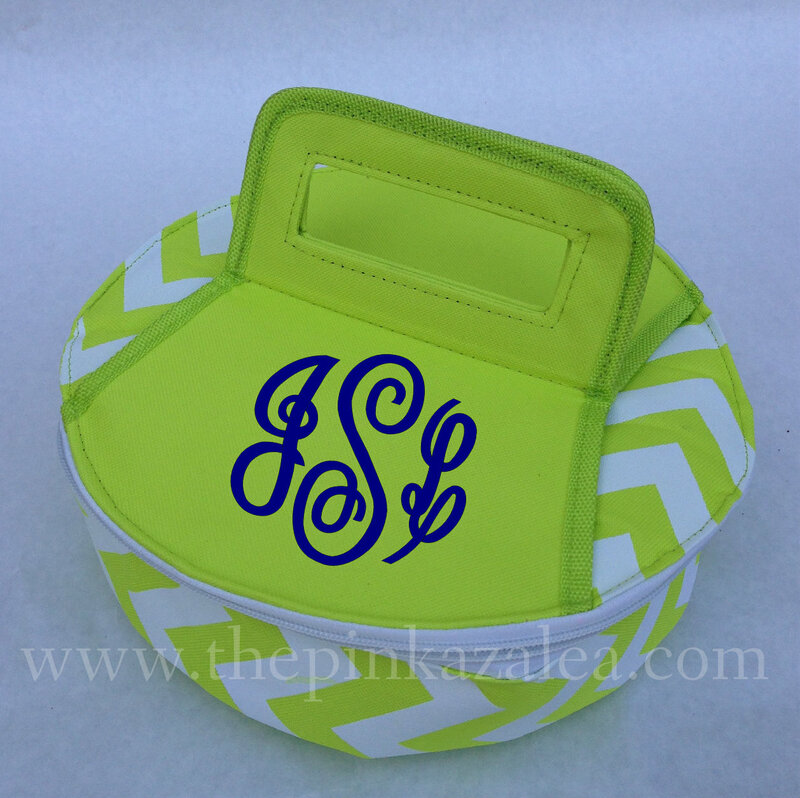 The new, bright colored chevron goodies from the Pink Azalea boutique will definitely give you Spring Fever. 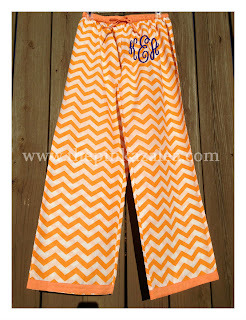 Chevron is the 'it' pattern this year, and these bright colors are so lovely - although we are partial to the orange! 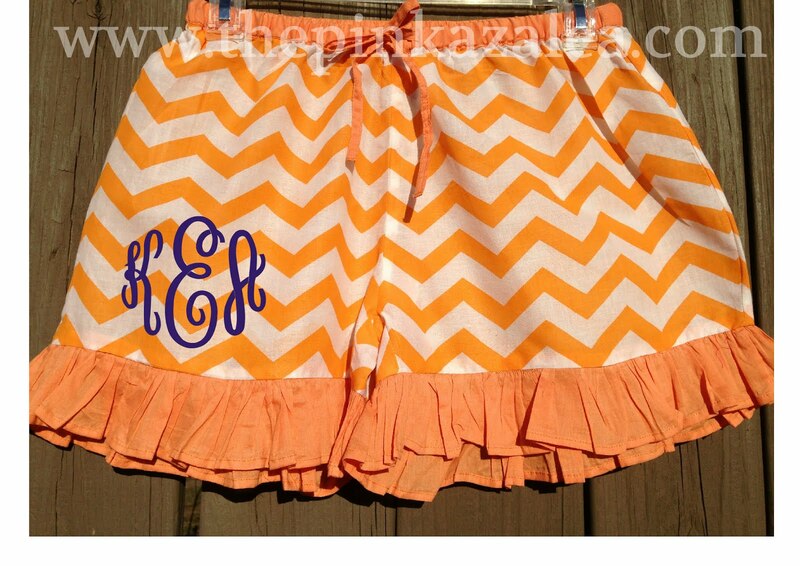 How adorable are these ruffle hem shorts - complete with your monogram! These would be perfect for pulling on over your bathing suit while hanging out on the beach with your toes in the sand. Want to get a nice golden tan before showing off your legs? 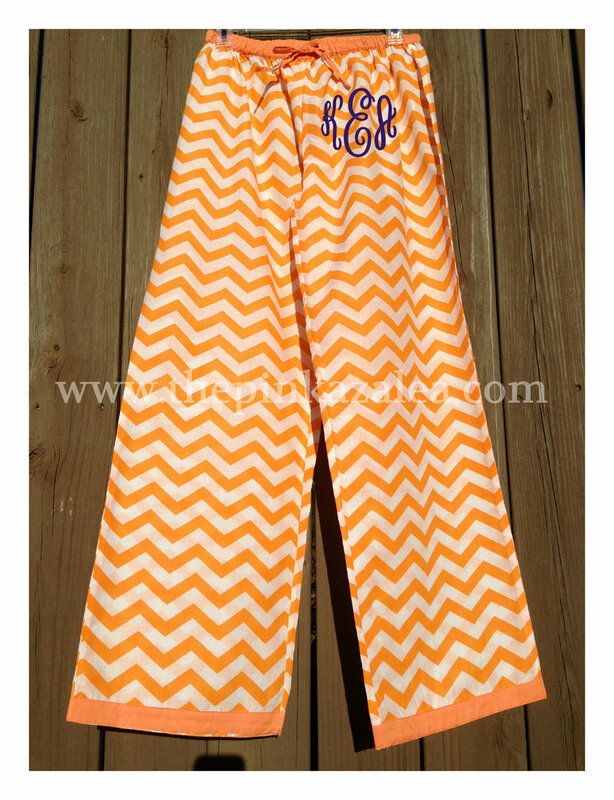 How about these adorable chevron pants? Perfect for lounging by the pool or lounging on your couch! And we are no psychics, but we predict that these chevron tunics will sell out fast (especially the orange ones!). How adorable are these tunics?? This tunic would be super cute with jeans and flats or over your bathing suit as a cover up. Love! Don't forget you'll need a new beach bag this year - because who can resist a chevron tote with your monogram? The perfect size for all of your beachside needs. 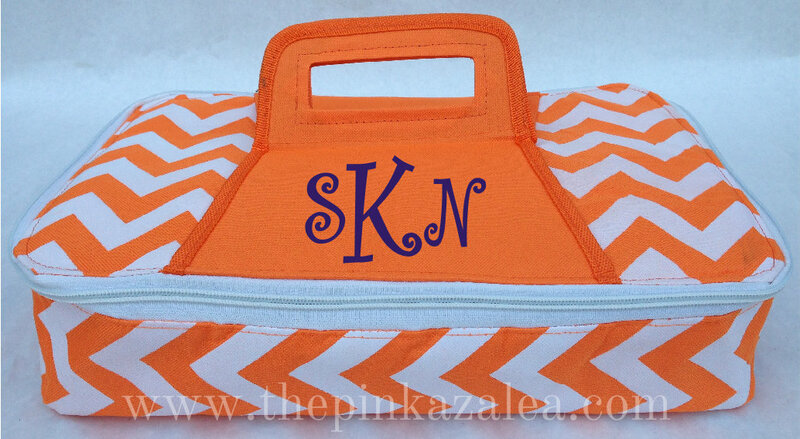 I'm pretty sure I need the orange chevron bag for my new carryall tailgating bag. 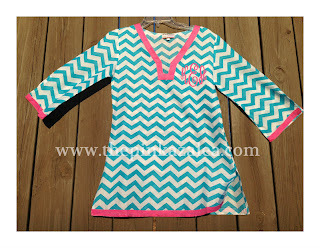 The Pink Azalea boutique also has adorable chevron carriers (with monogram of course!). The insulated picnic basket, the square casserole carrier, and the round cassorole carrier are the perfect must-have accessories for your baseball tailgate this Spring. The Pink Azalea boutique is located in downtown Greenville. Don't live in the upstate? No worries. All of these items are available on the Pink Azalea's website! What are you waiting for? It's time to stock up on all things chevron for the Spring! The Pink Azalea has generously offered to give one very, very lucky Clemson Girl our favorite of their chevron items - the chevron tunic! 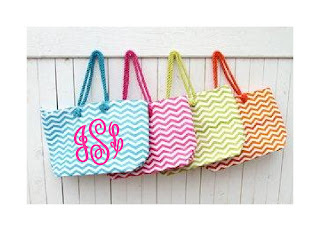 The winner gets to choose the chevron color and add a monogram in a thread color of their choice. Deadline for all entries is tonight at midnight! We will randomly draw a winner tomorrow, Wed., Feb 13, and contact the winner by email (please check your email tomorrow ladies!!). The winner will have 48 hours to reply to us or we will draw a new winner. Special thanks to the Pink Azalea boutique for sponsoring today's chevron-tastic giveaway! Good luck ladies! Do I have to pick just one?! 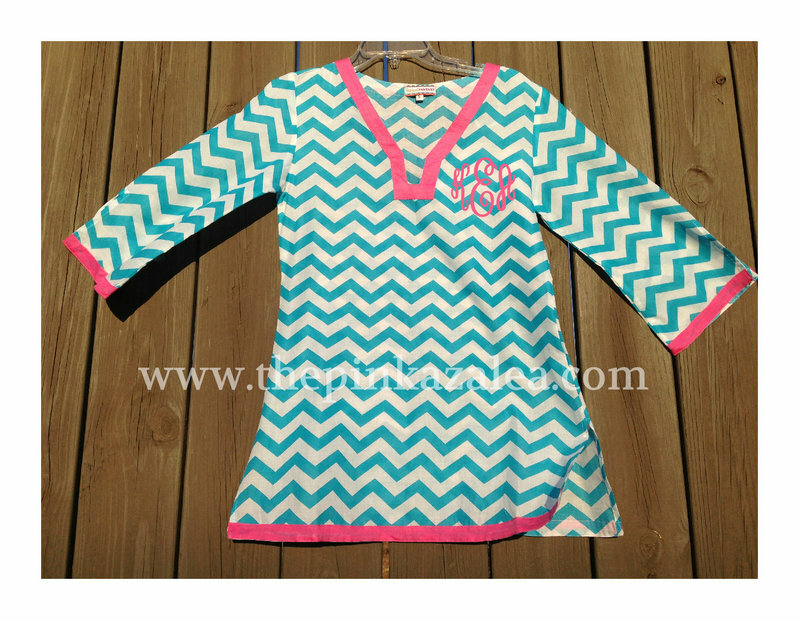 I love the chevron tunic--it would be perfect for the beach this summer. My second favorite are the monogrammed pj pants. So cute! I love the monogrammed pj pants! Adorable! I can't pick just one! The Tunic is amazing! The insulated picnic basket is ADORABLE! Too hard to pick one! The tote and the pants are too cute. But the tunic would be perfect for our beach honeymoon! I love the PJ pants! I love the lounge pants!! I love them all, but the shorts for my honeymoon would be so cute! Thought I really like the picnic basket I do like the tunic too so much especially in the blue turquoise color. Love, love, love, love the Tunic. So amazing! 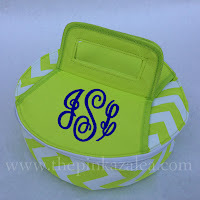 I love the insulated picnic basket! Those lounge pants are adorable! The tunic is my favorite! Put it in orange and purple and it would be perfect for Game Day! 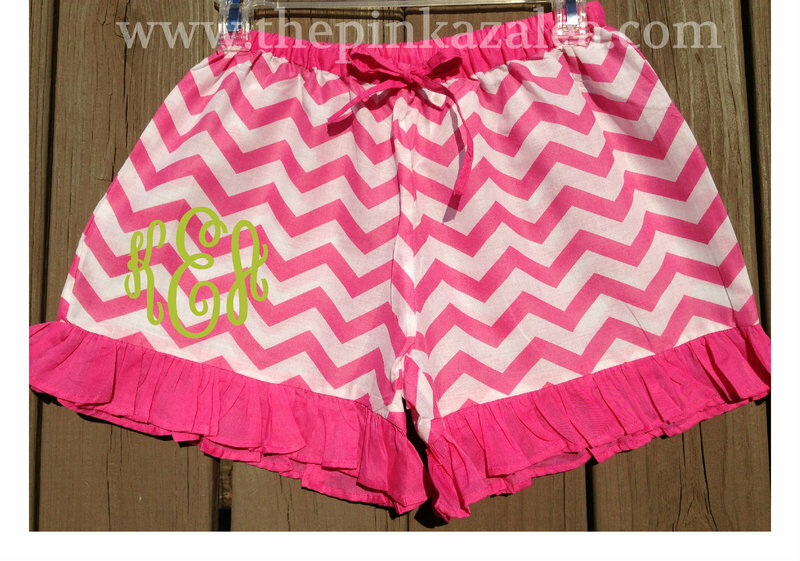 Love the chevron, shorts and pants especially! Can't decide If I life ruffled shorts or tunic better....so both! What a fabulous giveaway!! I love all the adorable items. If I must pick one it would be the tunic, but the beach bag is a close one too. Love love love! So many cute things! Can't pick just one!